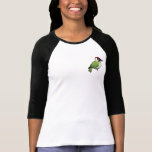 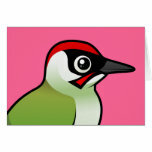 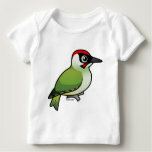 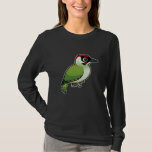 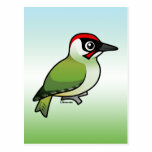 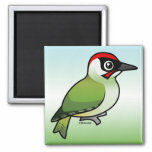 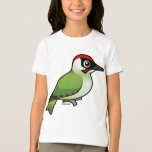 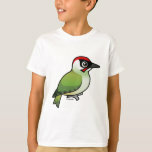 The Green Woodpecker is a species of woodpecker that lives across western Eurasia. 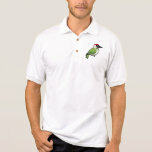 Naturally, they are named for their green plumage. 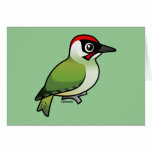 The birds can also be identified by their red crowns, black masks, and moustachial stripes. 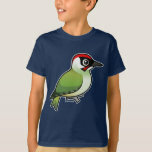 Unlike many other species of woodpecker, Green Woodpeckers glean insects from the ground rather than drumming for food on trees. 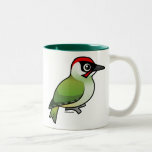 Since they nest in tree cavities, their preferred habitat provides woodland for nesting as well as more open land for insect foraging on the ground.